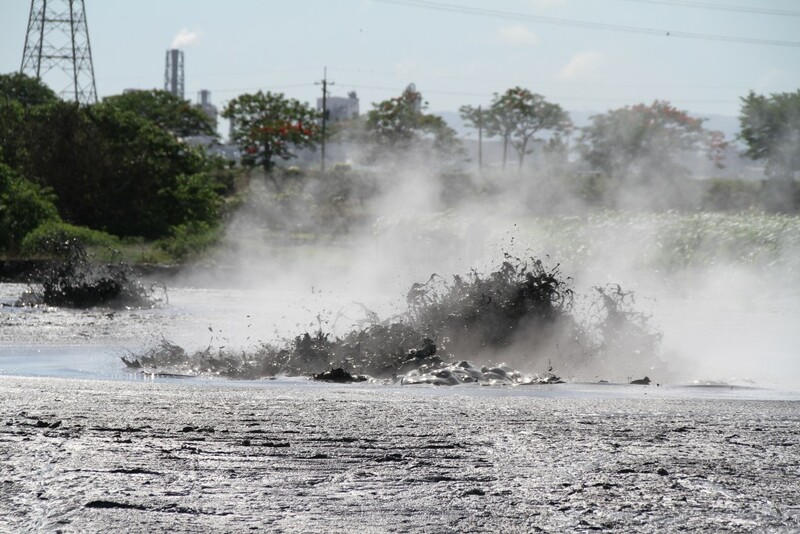 TAIPEI: A mud volcano erupted in Wantan township in southern Taiwan’s Pingtung County from 2 a.m. through the afternoon yesterday. The mud volcano location in Pingtung County varies each year, sometimes inside of or near Wantan township and sometimes near Hsinyuan township. Yesterday’s eruption was the product of two mounds while eruptions in previous years have been from four or five mounds. No one was injured in yesterday’s eruption however the waves of mud swamped over one hectare of farmland.